Riyadh, Kingdom of Saudi Arabia - Philips has commissioned a new research report on how innovation can help shape the future delivery of healthcare in Saudi Arabia. The report compiled by the Economist Intelligence Unit (EIU) will gather evidence through in-depth interviews with the local and international thought-leaders that are creating the Kingdom’s healthcare plans for the future. It will also examine employment opportunities for nationals and the policies that could attract more citizens into the sector. 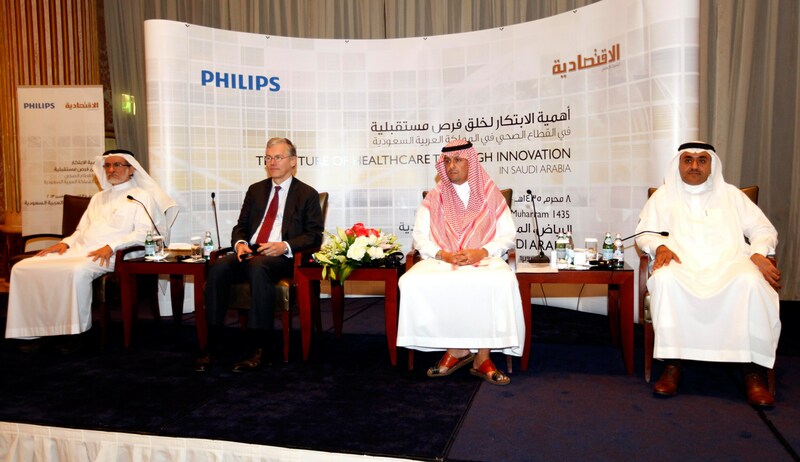 The report was announced today during a panel discussion on "Creating the Future of Healthcare through Innovation in Saudi Arabia" organized by Philips in Riyadh during the visit of Frans van Houten, Chief Executive Officer, Royal Philips. In addition to Mr. Van Houten, the panel also included HRH Mohammed Al-Faisal, President & CEO of Al Faisaliah Group Holding; Dr. Salah Al Mazrou, Deputy Ministry of Health for Medical Supply and Engineering Affairs; and Dr. Sattam Lingawi, CEO First Scan Co. and Member of Shura Council. Through the report, Philips seeks to bring together the Saudi Government, private healthcare sector and academics to co-create innovative solutions to the challenges facing the healthcare system, including increasing patient capacity, constraints in local clinical resources and continuing education, in addition to the need for public private partnerships. This report is the second from Philips this year and follows up the finding of the Meaningful Innovation Index. The multi-country survey of the general public posed questions about people’s needs, attitudes and expectations of innovation and found that only 54% of Saudis are satisfied with existing innovations in the areas they considered to be the most important to their lives. The Saudi Government plans to launch a number of new healthcare projects at a cost of $3.3bn to increase state-run beds from 20,000 to 60,000 in the next few years. This new multi-stakeholder research represents a unique opportunity to introduce meaningful innovation into the Saudi healthcare system. 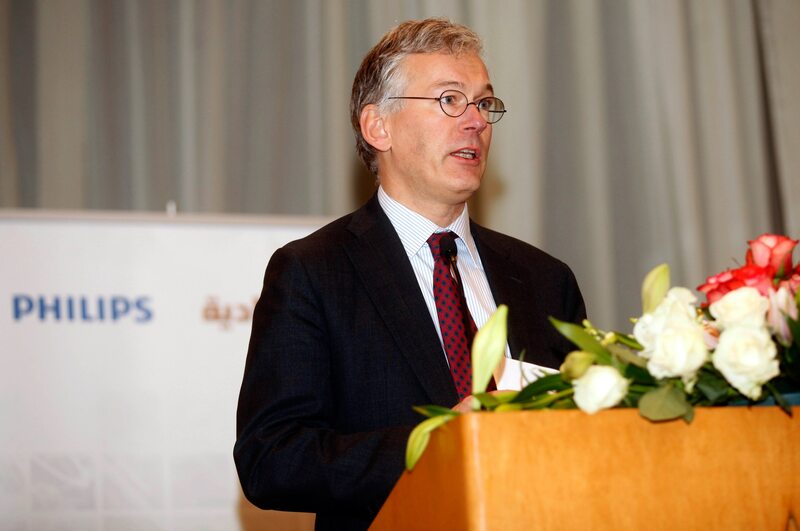 "Our goal is to enhance patient care in Saudi Arabia by delivering innovative solutions such as our connected patient monitoring technologies and dedicated training programs for the next generation of Saudi healthcare professionals ," said Frans van Houten, Chief Executive Officer, Royal Philips. "Strong local understanding and deep insights into Saudi needs are the key drivers to make sure our innovations and services are truly meaningful," continued Frans van Houten. With over 80 years of history in Saudi Arabia, Philips remains committed to improving the lives of people in the Kingdom. From the introduction of life improving innovations such as the country’s first telephone network, to the consumer and healthcare innovations of today like the AirFryer and IntelliVue MX800 patient monitoring solutions, to the innovations of tomorrow where the transfer of vital patient data to clinicians on the move is made possible via Google Glass, Philips is continuing to innovate. "This year, we helped to improve the lives of 1.7 billion people. That&apos;s an incredible number—almost one quarter of the entire population of the world. But we can do better and Philips is dedicated to improving the lives of over 3 billion people a year by 2025. We hope to do this together with the Saudi Government executing on their noble vision of world-class health care for Saudi citizens," concluded van Houten. Royal Philips (NYSE: PHG, AEX: PHIA) is a diversified health and well-being company, focused on improving people’s lives through meaningful innovation in the areas of Healthcare, Consumer Lifestyle and Lighting. Headquartered in the Netherlands, Philips posted 2012 sales of EUR 24.8 billion and employs approximately 114,000 employees with sales and services in more than 100 countries. The company is a leader in cardiac care, acute care and home healthcare, energy efficient lighting solutions and new lighting applications, as well as male shaving and grooming and oral healthcare. News from Philips is located at www.philips.com/newscenter.